Established in 1946 after a major fire in the San Geronimo Valley, today’s NVFD is the only all-volunteer and completely independent fire department in Marin County. NVFD responds alongside the Marin County Fire Department on emergency calls within the Nicasio response area (see map). Because this area covers almost 40 square miles - from BigRock (East) to the Nicasio Dam (West) and Moon Hill (South) to Rocky Hill (North) - NVFD is often first on-scene to help those in need. NVFD also provides a range of prevention & preparedness and community education programs to help avoid emergencies in the first place. Our diverse membership includes long time residents as well as newer transplants, men and women, hi-tech professionals and professional firefighters, young and, well… less young. 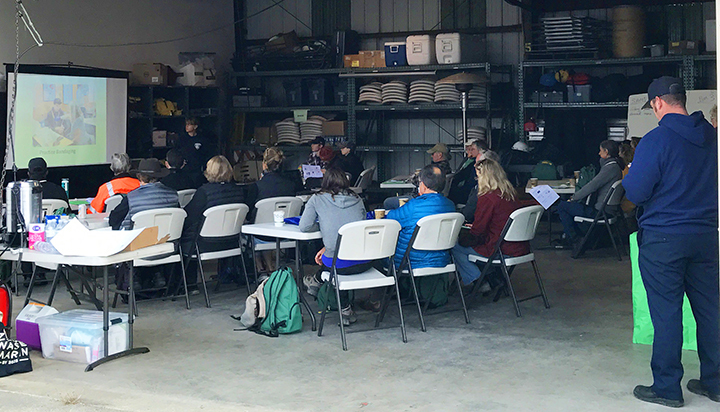 In addition to our training for medical and fire related emergency response, what unites us is our shared commitment to serving the Nicasio community and to helping those in need. At the core of its mission, the NVFD provides on-call, emergency response to any and all emergencies within the Nicasio Community. We receive an average of 70 calls per year, most commonly motor vehicle and/or bicycle accidents, medical emergencies, and occasionally structure and wildland fires. Our roster includes men and women with basic and advanced training in emergency medical services and fire suppression. Active responders are toned with pagers in their homes and respond following protocols that vary depending on the type of call. For more information about the commitment involved in becoming an NVFD active responder, download our responder information packet (zip file) or simply send email to info@nicasiofire.org and we’ll contact you directly. Note: Due to limited resources for training and equipping responders, NVFD only accepts applications for this role from those who live and/or work (or who can respond quickly to emergencies) within Nicasio's response area. NVFD’s training program for new responders takes volunteers through several “levels” of certification designed to ensure that new recruits get an early taste for real calls but are not put in situations for which they are unprepared without adequate supervision. Active responders attend weekly drills (alternating weeknights and weekends) to maintain their competence to handle the variety of scenarios we frequently encounter and build their confidence to improvise as needed. For more information on becoming an active responder and the training involved, download our volunteer information packet. The Nicasio Disaster Council, which operates under the NVFD, coordinates community response and preparedness in the event of a regional disaster and has been cited by Marin County Fire Department as a model for the region. The DC recruits, trains and equips neighborhood liaisons so that they know how to work collaboratively to protect both life and property during any event in which outside assistance may be significantly delayed. In 2010, NVFD has set a goal of expanding the number and reach of its prevention programs to better prepare Nicasio for the inevitable. 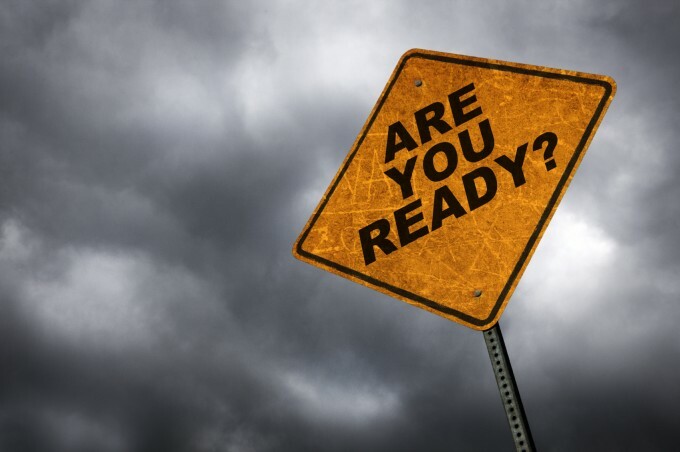 For more information about NVFD’s prevention and preparedness initiatives, contact disastercouncil@nicasiofire.org. 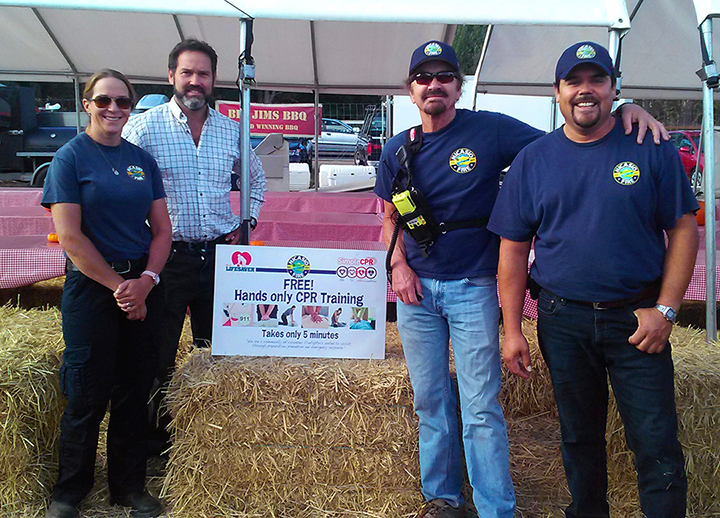 In addition to emergency response, NVFD runs prevention and preparedness programs serving the Nicasio community. In the Spring, we offer in-home consultations with homeowners on how to protect their homes from wildland fire by creating defensible space. We conduct "EDITH" (Exit Drills in the Home) training for Nicasio Residents. We fill fire extinguishers. Whatever is needed to help our community be prepared.